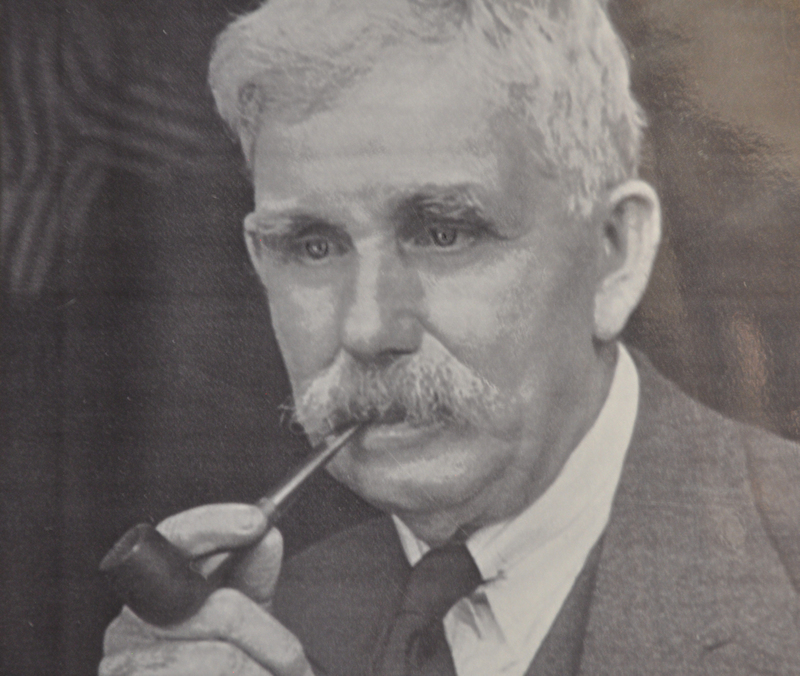 JA Clift (Pty) Ltd was founded by James “Jimmy” Andrew Clift in 1908. He was born on 17 October 1868 in Mousehole, a small fishing village in western Cornwall. He emigrated to South Africa in 1894 and joined other Cornishmen working as masons in the gold mines of the Witwatersrand. In 1902 the Clift family settled in Cape Town where Jimmy Clift worked as mason at the Higgo Quarry. 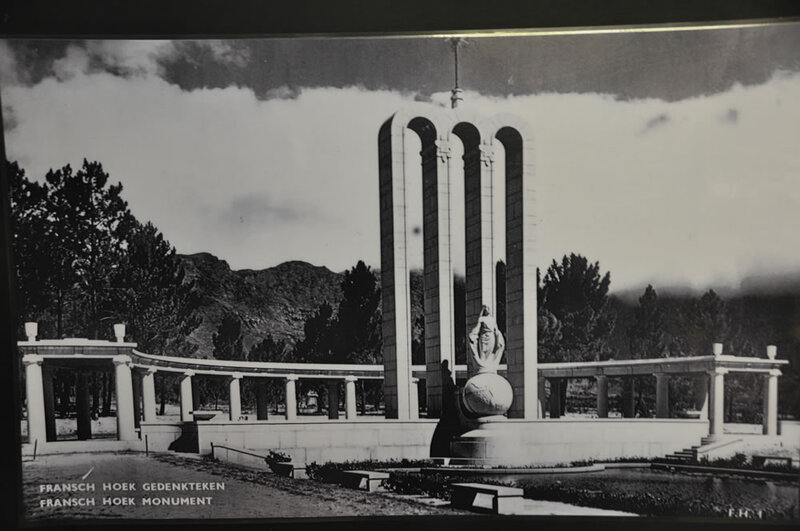 Jimmy Clift became an independent granite contractor in 1906 when the Cape’s Public Works Department accepted his tender supply granite and erect the Rhodes Memorial on Devil’s Peak. The memorial in honour of Cecil John Rhodes was designed by Sir Herbert Baker. James Andrew Clift signed the contract on the 10th of March 1906, the day his son William and future managing director of the company, was born. 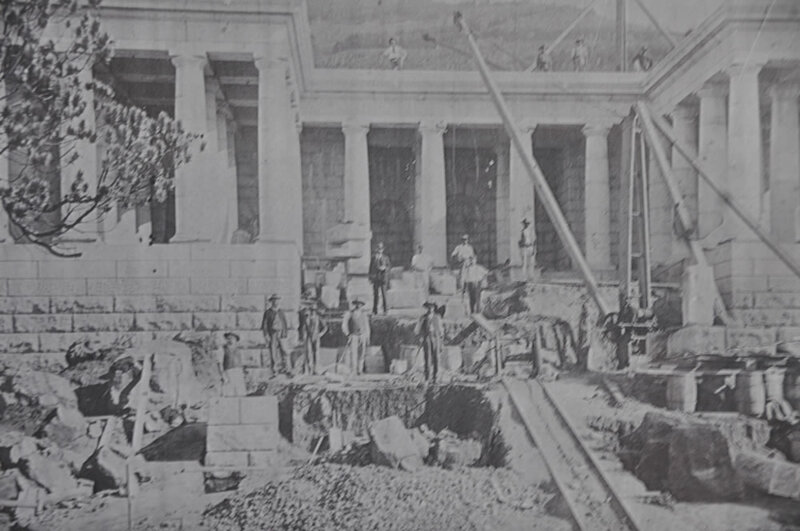 By the time James Andrew completed the Rhodes Memorial contract in 1908 it was evident that Cape Town’s own supply of building grade granite had come to an end and that if he wanted to have a quarry of his own, he would have to relocate to Paarl, the centre of the Cape’s growing granite quarrying industry. The Clift family settled in Paarl in 1908 and lived in a house in Frater Street, while James Andrew Clift established its masons’ yard in Concordia Street near Paarl Station. In 1916 he bought Sarnia Villa opposite the yard, and this granite double storey house is still in the Clift family. Mousehole lies in Mounts Bay on the coast of Cornwall in the south-west of England. The name is a possible reference to the size of the original harbour. Despite its size, Mousehole was an important regional port until the 13th century, when it was surpassed in importance by coastal towns such as Penzance and Newlyn. James Andrew Clift was born on 17 October 1868 in Mousehole, a small fishing village on Mounts Bay near Penzance. The town’s granite cottages and granite granite pier, built in 1870 by the local quarry owners, reflect the overall availability of granite as a building stone. James Andrew was the second youngest son of John Andrew and Elizabeth Matthews Clift. A census report of 1871, when he was three years old, indicates that his father John Andrew was then working as a gas fireman. His oldest sister, then sixteen years old, worked as a dressmaker, and his thirteen year old brother Thomas Mathews, as a harness worker. The family lived at 6 Eden Road, Mousehole. James Andrew started his working life as a rigger on one of the boats that worked off the coast of Mounts Bay. That all changed when he fell in love with Caroline Davey. The Davey men were all stonemasons, and when James Andrew approached his future father-in-law to ask his permission to marry his daughter, he was told to first acquire a trade -that of stonemason. James Andrew and Caroline were married on 10th November 1889, they were both 21 years old. In 1890 James Andrew left his pregnant wife Caroline and their one year old son John Andrew, with her parents in 22 Gurnick Street. The following year their daughter Linda was born. By the time of the 1891 census James Andrew’s own parents lived at 5 Gurnick Street, and his nineteen year old brother Edward Mathews was still living at home and working as an apprentice stonemason. James Andrew decided not to settle in America and returned to Mousehole in 1893 to work briefly as a stonemason for local granite contractors, FB Smith. That following year, now 26 years old, he once more left his family in Cornwall and sailed for South Africa, this time to look for work on the gold mines of the Witwatersrand. He would have known that in Johannesburg hard rock miners were earning almost ten times the wage of a Cornish tin miner, and would have hoped that as a skilled stonemason he would be able to work pinioning steel head gears onto the large stone anchor blocks that were used in the underground mines. He disembarked in Durban and as there was no railway line to Johannesburg, would have travel by mule and ox wagon. Within less than a decade Johannesburg had grown into a sprawling city with a population of more than 100,00. As in America, the mining industry did not appeal to him, and by 1895 James Andrew had moved down to Cape Town and was working at the Higgo Quarry in Kloof Neck. At the time the quarry employed as many as 120 masons. Cape Town was growing rapidly and with an ever increasing demand for more buildings, ample work for the city’s stonemasons. James Andrew decided to settle permanently at the Cape and in 1896 he sent for his family. A few months later his wife Caroline, now 28 years old, arrived in Cape Town with their two children: John Andrew (6) and Linda (5). The following year a second son Karl was born. 1899 saw the outbreak of the South African War, and James Andrew, unwilling to be caught up in the war in a foreign country, booked a passage for his young family back to Mousehole. He followed three weeks later. Back in Cornwall, Caroline gave birth to a second daughter Carrie on the 13 August 1999. Carrie died three days later. Linda Kelyack (nee Clift) recalled in a letter to her nephew William Clift that during the South African War her father worked as a stonemason on the fortifications on St Marys on the Scilly Isles off the coast of Cornwall. Her mother Caroline kept a boarding house that could take up to 40 lodgers. The young family’s stay on St Marys was confirmed by a 1901 census report. Once peace was declared in South Africa in 1902, the family returned to Cape Town and James Andrew resumed his work at the Higgo Quarry. The family’s return to Cape Town was marred by the death of their five year old son Karl. The family soon settled down in Fir Cottage in Higgovale and in June 1904 another daughter Elizabeth Emma was born. Linda Kelynack (nee Clift) also recalled her letter to William Clift that during this period her father also took on smaller contracts such as the plinth to the statue of King Edward VII on the Grande Parade, as well as “The Warrior” opposite the Drill Hall on the Parade. In 1905- 1906 he also worked on the headquarters of the University of the Cape of Good Hope in Queen Victoria Street, Cape Town. The building was later used as the Cape Archives Depot and is now called the Centre for the Book, and houses the South African Library’s manuscript collection. While finishing off the University contract, and still using The New University, Queen Victoria Street, as his postal address, JR McKillop subcontracted James Andrew to supply the granite for the new Rhodes Memorial Monument. McKillop was a well established building contractor with offices in Hout Street, Cape Town. On the same day James Andrew signed the contract with McKillop – 10th March 1906 – his wife Caroline gave birth to another son, named William. William would eventually take over his father’s business. 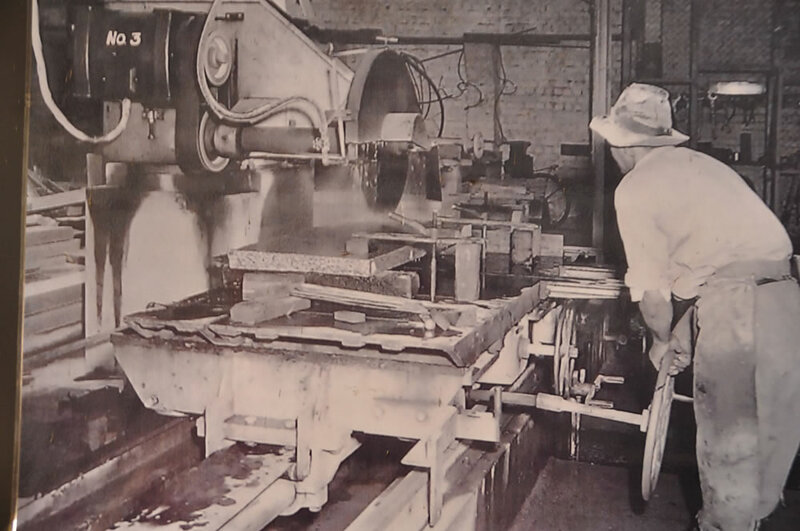 It is at this point that given all the contact he had with the quarries in Paarl, and a knowledge of the quantity and quality of granite available from the town, it became clear that it was time to relocate his business to Paarl where he could operate is own quarry. 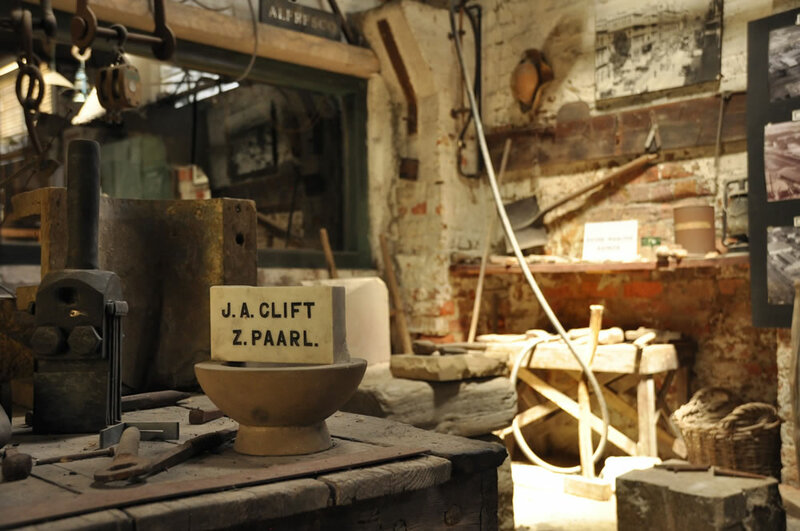 The history of JA Clift (Pty) Ltd begins in the small maritime county of Cornwall in England, during a time of enormous social and economic upheaval during which thousands of young Cornishmen emigrated to work on mines in North America, Australia and South Africa. This period in European history is sometimes referred to as the Great Migration. The social impact was more pronounced in Cornwall because the county’s economy was based on mining. By the early 19th century Cornwall produced three quarters of Europe’s demand for copper and supplied half of its tin. Mines in Cornwall were also large capital intensive enterprises using state-of-the-art mining technology to extract ore from deep inside the earth. Cornish miners had developed an unrivalled reputation for mining and working with hard rock, and were often recruited by the mining houses in South America, Malaysia and the Witwatersrand to install and man machines. Cornish engineers had also been exporting mining machinery for decades. Richard Trevithick’s high pressure steam engines for instance were being used in Peru’s silver mines as early as 1816. Production from the new mines flooded the market with ore, and copper prices crashed in 1866, leaving Cornish mines too expensive to exploit and thousands of Cornish men were left without work. Social conditions deteriorated rapidly in mining towns, and many families were left destitute and dependent on money sent home by relatives working overseas. The largest migration of skilled miners and stone masons from Cornwall to South Africa took place in the years leading up to the South African War (1899 – 1902), and by 1899 a quarter of the European labour force on the Witwatersrand was Cornish. At the time miners on the Witwatersrand were of the highest paid in the world and in 1900 Cornish miners sent an estimated £1 m a year. In the early 19th century South Africa’s economy was based on agriculture and Cape Town was little more than a quiet port. The discovery of copper in Namaqualand, followed by diamonds in Kimberley and gold on the Witwatersrand, transformed Cape Town’s landscape as immigrants, industrialists, speculators and artisans flooded into the city. The influx of capital and people transformed Cape Town into an important British colonial city and the city’s population grew rapidly from 28 400 in 1865 to 171 000 in 1904. The rapid growth stimulated a demand for sandstone, granite and slate to use as building stone, in aggregate, as well as kerbstones and paving. Cape Town’s famous landmarks such as Standard bank and Stuttafords in Adderley Street, and the Central Methodist Church on Greenmarket Square also date from this period. Table Bay harbour authorities also enlarge the city’s harbour during this period and many tonnes of granite from Paarl’s quarries were railed to Cape Town. Until 1870 most of the city’s dimension stone requirements were supplied by the quarries in Cape Town. The oldest quarry, known as the Strand Street Quarry was at the foot of Signal Hill and had been operative since 1660. All the quarries have long since closed but street names such as Quarry Hill Road, Bellevue Road, Higgo Crescent and Higgo Road, and the suburb of Higgovale remain as a reminder of this period in Cape Town’s history. The Higgo Quarry was owned by a Cornish family from Penzance. John Higgo, his wife Mary Ann and their six sons and two daughters arrived in South Africa on the Glentana on 2 February 1850. The Higgo men were all skilled stone masons. They settled in Swellendam where John Higgo worked as a road builder on the road between Cape Town and Swellendam. Many of the stone bridges built between Cape Town and Swellendam were built by the Higgos — including the Buffeljags Bridge (1852). During the mid-1850s John Higgo’s oldest sons Henry, James, William and George moved to Cape Town where they owned a granite quarry on the slopes of Table Mountain in the Kloofnek area. Granite from their quarry was used extensively to build Cape Town landmarks such the Standard Bank (1880) in Adderley Street and the Rhodes Building (1902) in Wales Street. The Higgo brothers and their sons all lived near the Higgo quarry. In 1904 the company Higgo Quarries was owned by William Higgo’s sons. The quarry finally closed in the 1930s. The Rhodes Memorial was built on the slopes of Devil’s Peak to honour Cecil John Rhodes who the Prime Minister of the Cape from 1890-1896. The memorial was designed by the architect Sir Herbert Baker on a site selected by him and the writer Rudyard Kipling. Both men were friends of Rhodes. The Rhodes Memorial was inaugurated in 1910. The inscription on JW Swan’s bust of Rhodes reads “To the spirit and life work of Cecil John Rhodes who loved and served South Africa (1853-1902)”. The memorial is set against Devil’s Peak and looks out across Cape Town’s southern suburbs and Table Bay with False Bay and the Drakenstein Mountains in the background. At the bottom of the memorial’s four terraces is a statue by GF Watt called “Physical Energy”. The statue depicts a rider reining in his horse. James Andrew Clift, the founder of JA Clift (Pty) Ltd in Paarl, was one of the sub-contractors commissioned to work on the project. Work started in 1906 and he had the contract to supply and prepare the granite blocks. A new wooden crane was imported during this period and installed on site. JR McKillop, a Cape Town based construction company, may have been the chief contractor. The granite was supplied by the Bellevue Quarry on the slopes of Table Mountain. A letter dated 13 March 1906 survives in which the Bellevue Quarry agrees to supply 26 000 cubic feet of granite at a rate of 2 000 cubic feet per month for the Rhodes Memorial. Invoices show that granite off-cuts were sold to the city’s municipality for pavements and kerbstones. Granite chips went to the Salt River Cement Works. James Andrew’s payrole during this period included masons from the Higgo family – Victor and James. He also paid William George Higgo (one of the owners of Higgo Quarries) for templates and rough flagging. In April 1907 his wage register includes his oldest son, John Clift, for flagging. John would have been about 16 years old and completing his apprenticeship as a stonemason.